Our mission in writing this book is to help you. Join us in flipping the food pyramid and eating real food. Heard the one about the Fat Professor, the Whole-food Dietitian and the Michelin-trained Chef who want to change the world? Nope, this is not a silly joke. Far from it. In fact, we hope this book provides some serious answers. We hope it is the beginning of a life-changing journey for many who have experienced inexplicable weight gain,the heartbreak of constant deprivation and yo-yo dieting, or worse, physical illness through poor nutrition. 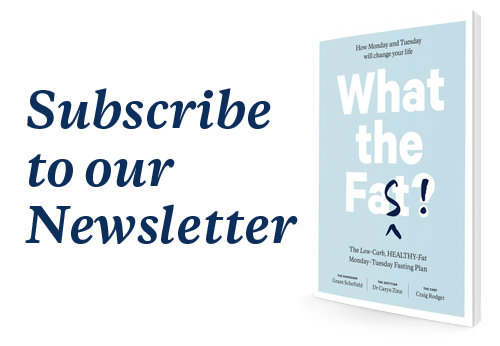 To get a quick overview, have a read of The Skinny; a 4-page practical guide to eating the Low-Carb, Healthy-Fat (LCHF) way. 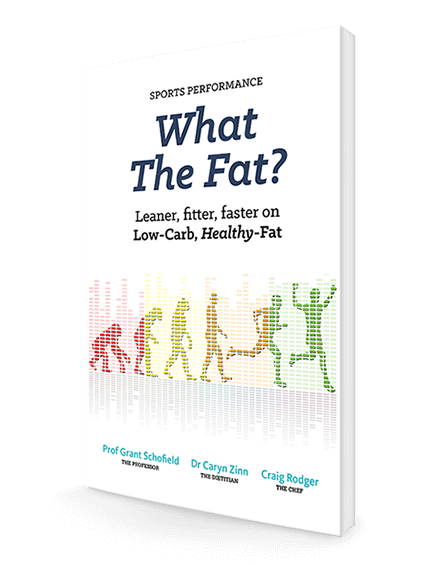 We are very happy to announce that the second book in the What The Fat? series, Sports Performance, is now available for purchase in e-book format via Amazon. The hard copy will be available in May and preorders start in April. We show you how to switch on fat burning and unlock your potential to take advantage in a sporting and exercise context. 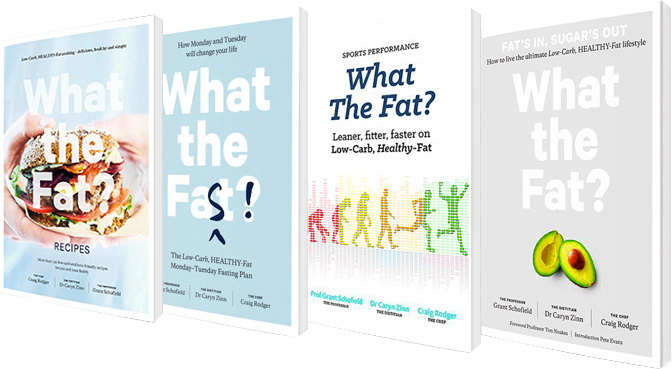 Presenting compelling evidence, inspiring real-life stories from very successful athletes, and simple ways to eat Low-Carb, Healthy-Fat. We need you to step outside the square and reset. We will ask you to forget everything you were taught by your old-school sports performance nutritionist and learn how to become the ultimate fat burning athletic machine.